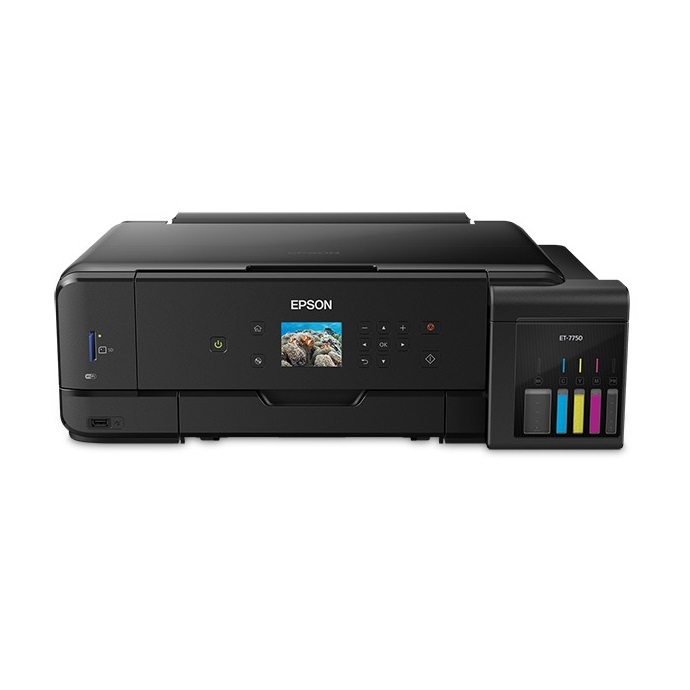 Epson Expression Premium EcoTank ET-7750 A3 28ppm Wireless Duplex Multifunction Inkjet Printer + Warranty Extension Offer! Featuring 5-colour inks, the wide-format Expression Premium ET-7750 wireless EcoTank all-in-one offers revolutionary cartridge-free printing with easy-to-fill, super-sized ink tanks. It includes up to 2 years of ink in the box (depending on usage), equivalent to about 30 ink cartridge sets. 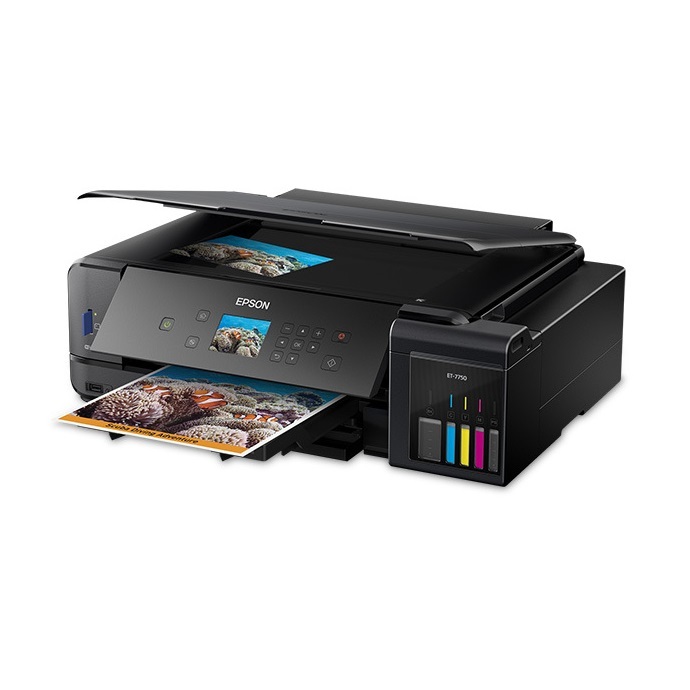 That's an incredible amount of ink — enough to print documents up to 9,000 pages, or thousands of 4" x 6" photos. 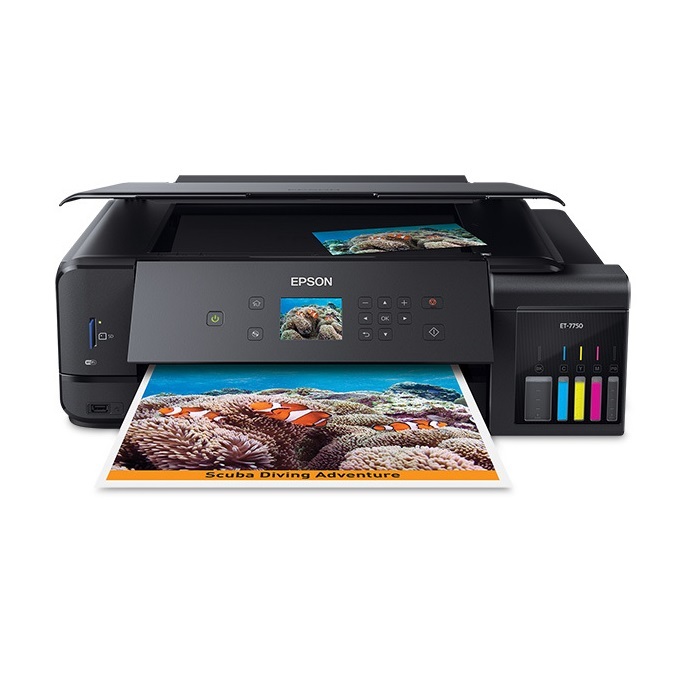 Plus, it features Epson exclusive auto-stop ink bottles, with each colour uniquely keyed for easy filling of each tank. The ET-7750 also prints borderless up to A3 and includes paper and photo trays, plus built-in USB/card slots.